We do not know what PCGS was thinking when they only labeled this coin a PR65+.We do rank this coin as being VERY HIGH END. Dramatic mirrors bold beam from all over You really can’t get any deeper mirrors unless the coin is a dipped UCAM. The mirrors are also the ultimate in cleanliness, clarity, and of course vivid reflection. 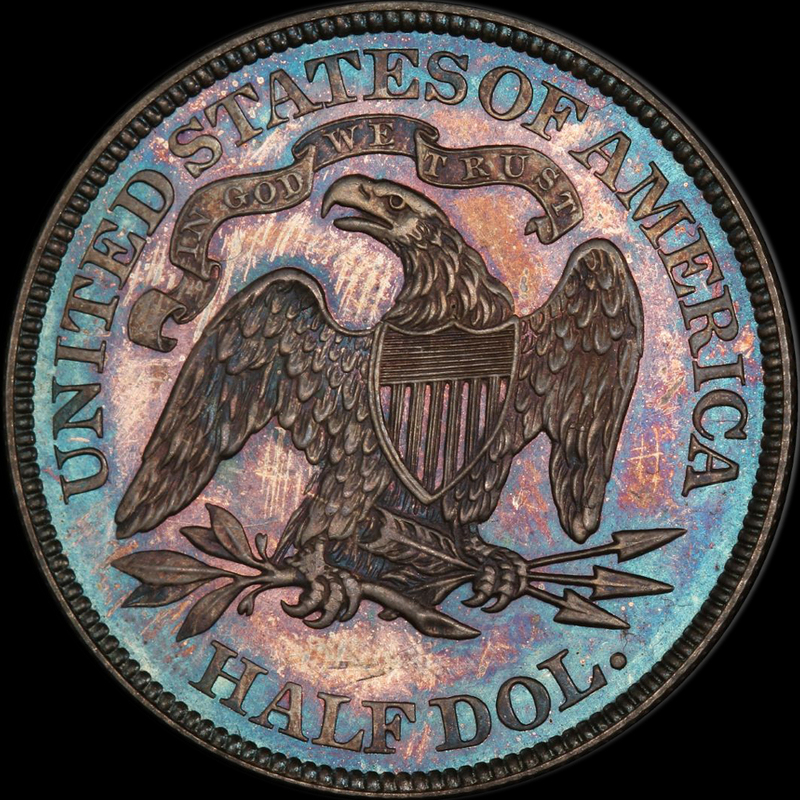 A superb mix of totally original and iridescent violet/pale rose/gold/blue/green colors swirl all over the obverse. The reverse probably was lying on felt and has a deeper blue/purple color (NOT dark and NOT dull). Miss Liberty and the details are fully struck and are thickly frosted. You can say the obverse has cameo contrast. The eye appeal is totally gorgeous! 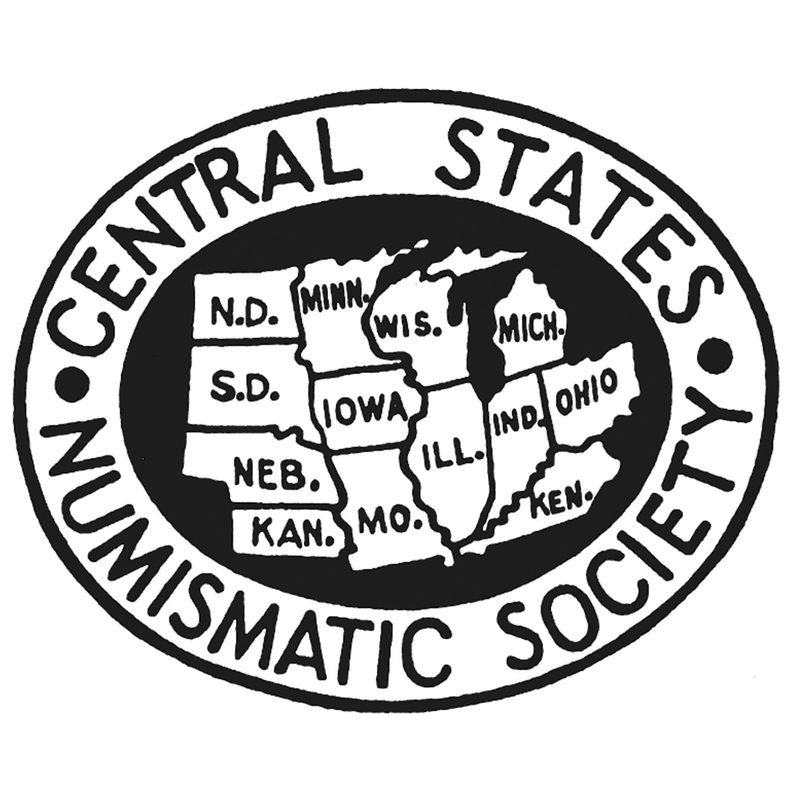 ONLY 550 were minted. 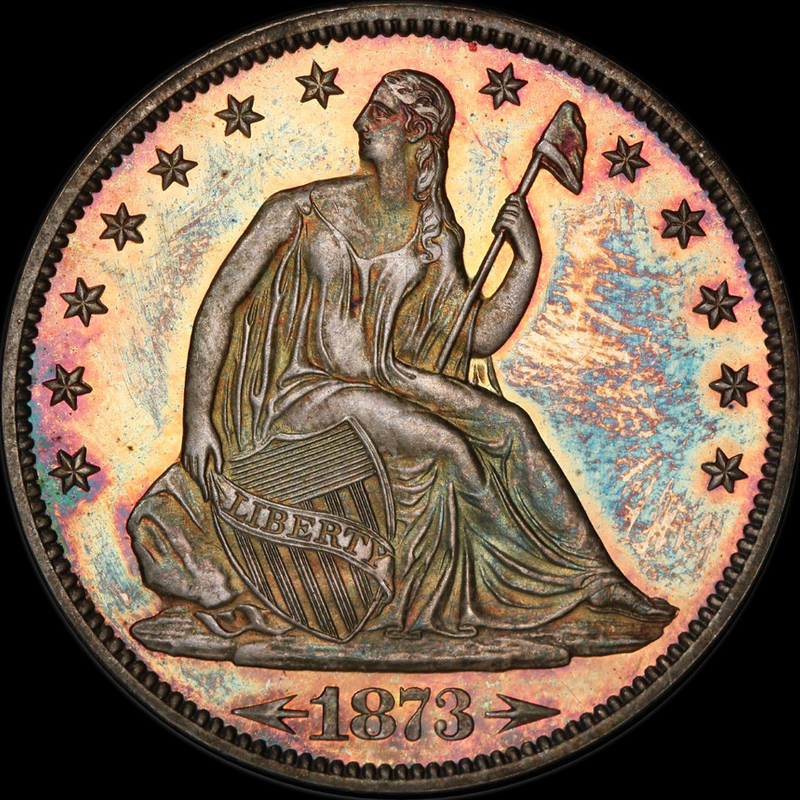 PCGS 9, NGC 15, CAC 2. PCGS has graded only this coin a PR65+. It is critical to note, there is only ONE coin higher. Further, the last PR65 CAC to sell brought $12,925.00 08/2013 while the PR 66 brought $35,250.00 06/2014. We KNOW this great coin is priced very fair. The pricing guides are just plain wrong since no coins have traded in quite some time. If your building a Seated Half Proof or some kind of Type set, you should NOT pass up this gorgeous GEM!